With World Autism Awareness Week fast approaching (26th March - 2nd April, expect a flurry of posts), I thought I'd take a moment to reflect on some of what autism has meant to me over the years. 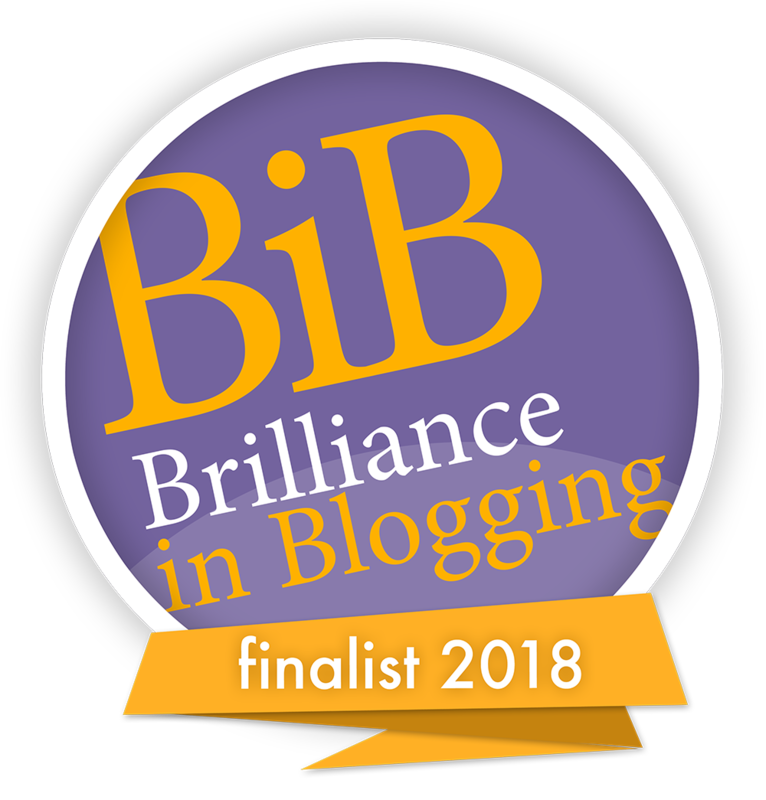 I've been writing this blog for over eight years now and it's always interesting to look back and see how far we have come and what we have learnt. An old photo; just because it's cute! To really get to know anyone, you have to listen to them. There's a real skill to listening properly, rather than letting it go in one ear and out the other. I'll admit that there are times, such as earlier when Sasha spent twenty minutes pacing up and down the room, talking at me in detail about a new Kirby anime series which she'd like to produce for the fans, when my hearing rather than listening kicks in. I think Sasha probably knows (although I can't guarantee it) that if she were to quiz me on it all at the end of the session then I possibly wouldn't come top of the class. As long as I don't interrupt her flow though, she's happy; she just needs to get those thoughts out of her head. If you listen, and understand that, it goes a long way to forming the basis of a trusting relationship. For a long time now, Sasha has automatically sat in the front seat of the car whenever we go anywhere. Whether it's a short or a long journey, she needs to be up front, which means that both her older sister and me, her mum, are relegated to back seat positions when the whole family is on board. This is mainly because Sasha gets stressed about any form of travel, but also because she needs to control the music. Music is very important to Sasha. Patience is very important too. As in, it's important that we are patient. Sasha needs to hear the music which makes her feel calm, and she needs to listen to the words. That means no talking in the car. No random conversations, no pointing out places or signs of interest, nothing. Unless Sasha is leading a conversation (pretty rare, in a car), then talking is frowned upon. We have to listen to the music she chooses, and we have to accept that she may have a need to listen to the same song four times in a row to get it clear in her mind. Patience is not one of Sasha's strengths however. Waiting for anything is the hardest thing in the world, and there are few things that she will wait happily for. The anticipation, or the boredom, are too much for her, and it causes a huge anxiety overload. That feeling of not fitting in. 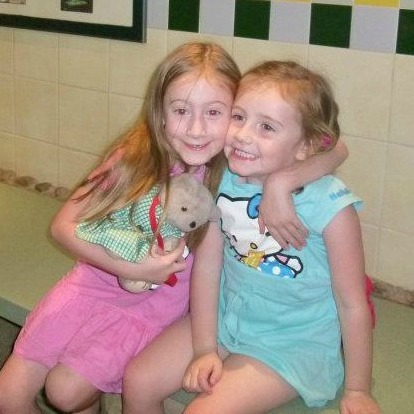 When Sasha was much younger, even before she was diagnosed, I'd try to take her along to Tumble Tots, Dinky Dancers, baby signing or Monkey Music, or indeed any other number of organised toddler groups which I had enjoyed with our eldest girl. It became clear very quickly that this kind of 'organised fun' just wasn't going to work for our youngest. She seemed to ignore anyone who was pretending to be group leader, choosing to run up and down the hall noisily instead, or stand up and shout at inopportune moments (lots of them). The groups didn't work. My little girl was a square peg who just didn't fit into that round hole. The words 'you can't blend in when you were born to stand out' have rung true ever since. In practice though, what it meant was that I spent more and more time at home, and had less chance to form new friendships with other mums of children the same age. It was also difficult to keep up with the friends I'd already made when our eldest was first born, given that I struggled to leave the house. 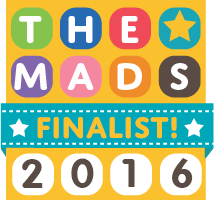 Fast forward eight years and it was clear that the isolation was something our autistic daughter felt keenly too. Despite being surrounded by lovely children at school who had been in her class for over five years, and who were on the whole very understanding, Sasha reached a point where she knew she didn't fit in. She felt isolated because she knew she was different. I'll always admire her bravery in admitting this and deciding it was time to try a new path. My first recommendation for any parent having just received a diagnosis of autism for their child is to find other parents and carers of autistic children. Strange as it may sound, parents hold the key to support. Generally, you'd expect support to come from 'professionals' or practitioners as I prefer to call them, but you quickly learn that their time is limited, and in some cases sadly so is their knowledge. The best information is shared by other parents. Parents who you didn't know before a diagnosis, but who suddenly seem to appear out of the woodwork. Parents who are also struggling through, but who still have a desire to help others, to make that path easier. Whether it's online or locally (I recommend both if you can), these parents will be a lifeline. 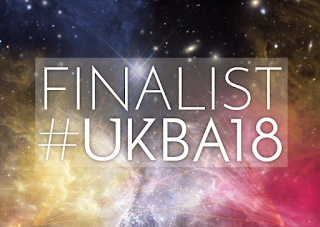 If you're really lucky, you will find some who you can share both the good and the bad times with, some who you can relax and recover with, and some to share the Prosecco with. They are worth their weight in gold. I may call myself an expert in my own child, but I'm a long way off being an expert in autism. There is so much to read and discover on the internet; I'm still learning every day. I think every parent or carer of an autistic child will tell you that they have a pile of books somewhere - a pile of autism books that is. They might be by the side of the bed, gathering dust or may be neatly categorised in the family library. Sometimes, they have been given away to family, friends and schools, in the hope that someone new will read and understand. There's a never ending list of good ones to read, but at some point the pile will seem too high and too much to tackle. When this happens, it's time to take a break from the immersion in all things autism for a while, to rediscover yourself and what life is all about. The books aren't always the answer, but there are plenty of good answers in the books, when you are ready for them. There's a blog post on the way next week about the film Wonder, but here I'm using it to mean 'amazement'. As in, there has been so much to be amazed about along the way. When your eyes are opened, there's so much to learn and autism is a vast topic. I'm amazed by how much Sasha does achieve, when she clearly finds the world around her confusing and unpleasant a lot of the time. I'm amazed by how much other neurotypical children learn 'by osmosis' - by that I mean all those social rules, that are never explicitly taught, but which they somehow pick up along the way. I'm amazed at the strength of lots of parents of children with additional needs who carry on regardless and do some pretty extraordinary things. What, you didn't really expect me not to mention this in a post about autism awareness did you?! I came across an old post of mine recently, in which I talk about our 'lightbulb moment'. This is a phrase you will often hear used by parents of autistic children who just don't seem to fit the typical description of autism. After receiving the diagnosis of autism for Sasha, I met other parents of autistic children, but none of their children seemed to react to things in the same way that Sasha did. Of course, every child is different, and each one of those autistic children will have been unique, but it felt as if our girl had less in common with them than was assumed by the over-riding 'autism' term. 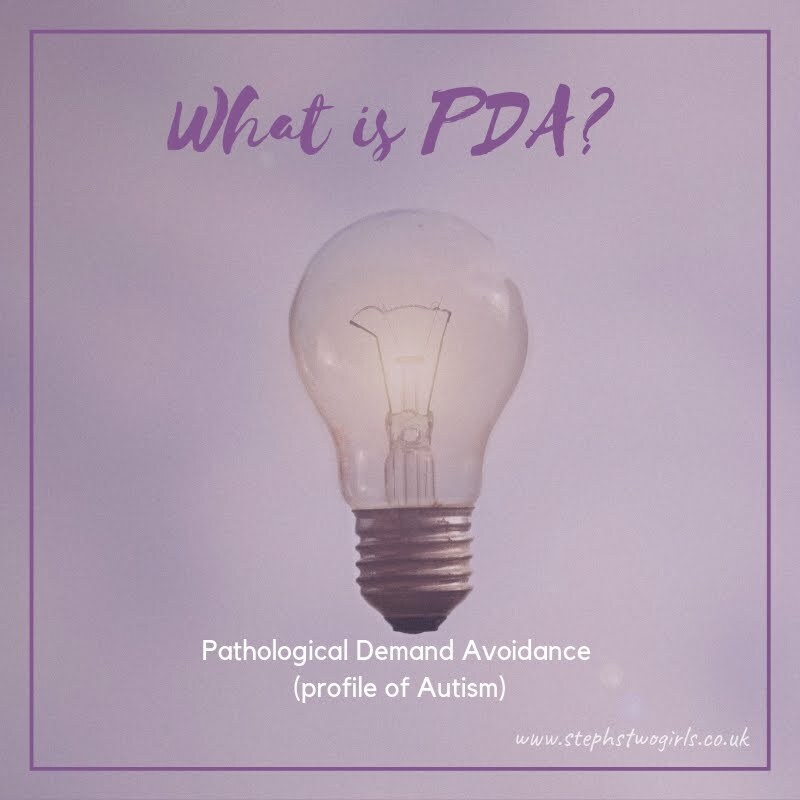 That's when I scoured the internet for information and first came across the term PDD-NOS (Pervasive Development Disorder Not Otherwise Specified) or Atypical Autism. This was used to describe people who didn't seem to fit neatly into one of the other categories of autism (classic autism or Asperger's Syndrome); it seemed to be more popular as a diagnosis in America however. 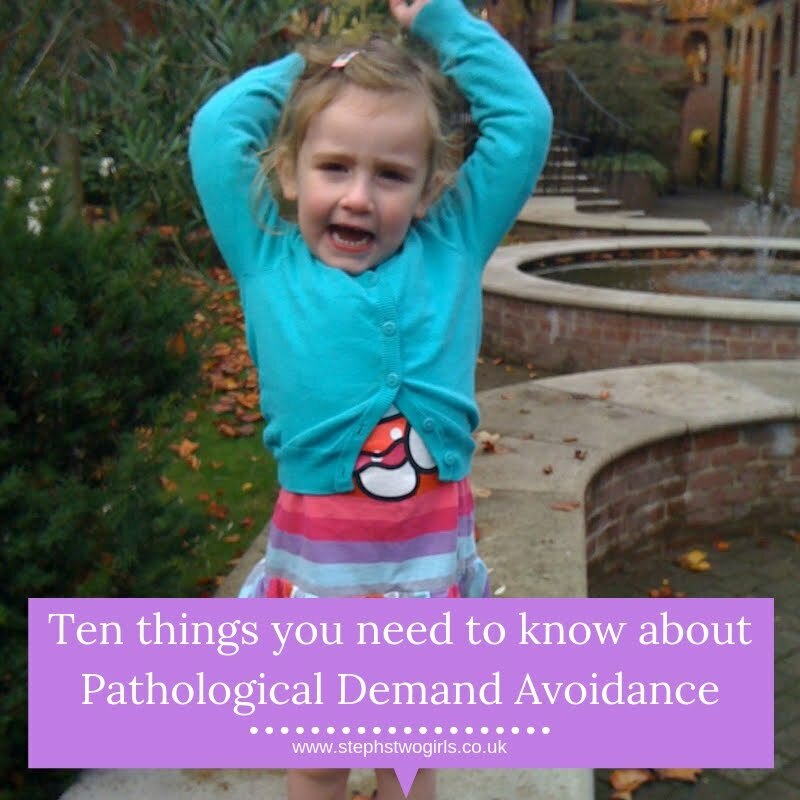 This discovery somehow led me on to reading about Pathological Demand Avoidance, and suddenly the description of the characteristics of someone with PDA seemed to fit our girl like a glove. 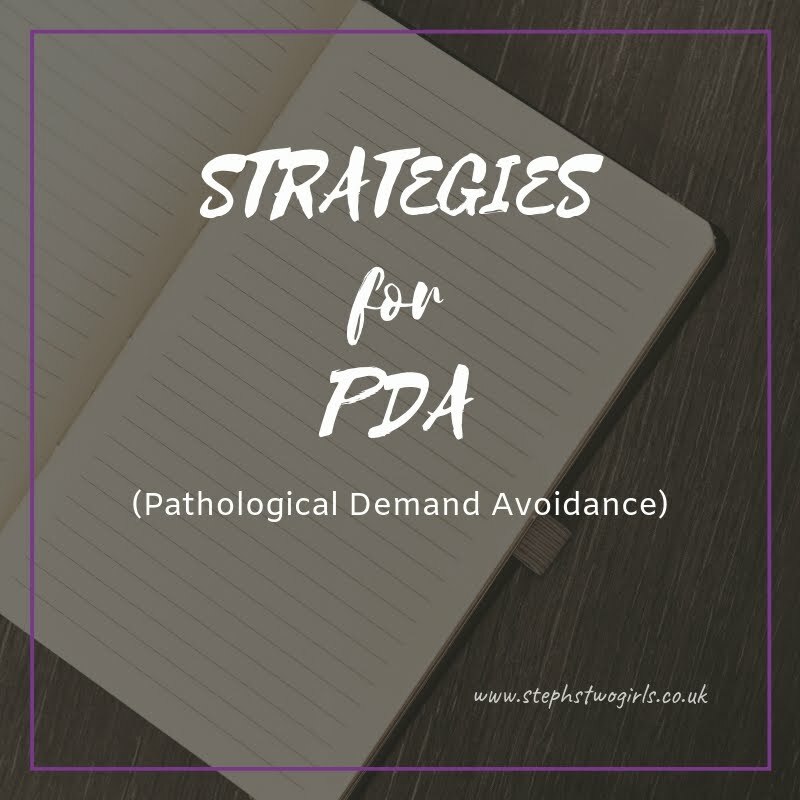 Finding the PDA Society and all the info available about PDA helped reassure me that we were going down the right path in terms of strategies for our whole family. 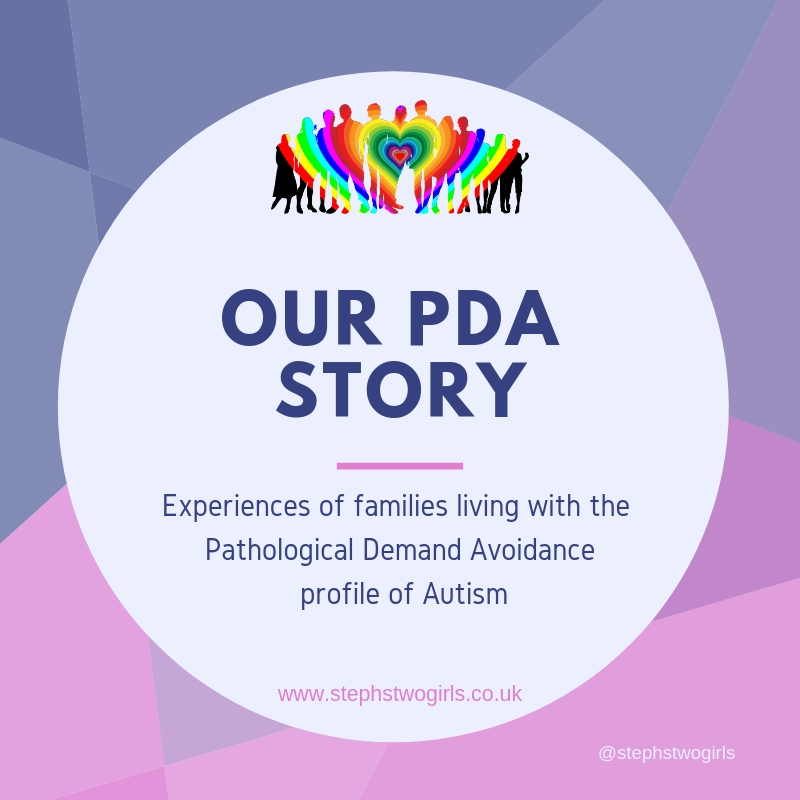 That's why I'm so keen to get the word out to other parents, and next month on 18th April, I will be helping out at the PDA conference and hoping that others will help share the news on the day. Overall my aim is for Autism Awareness and acceptance to increase every day of the year, not just for one week.